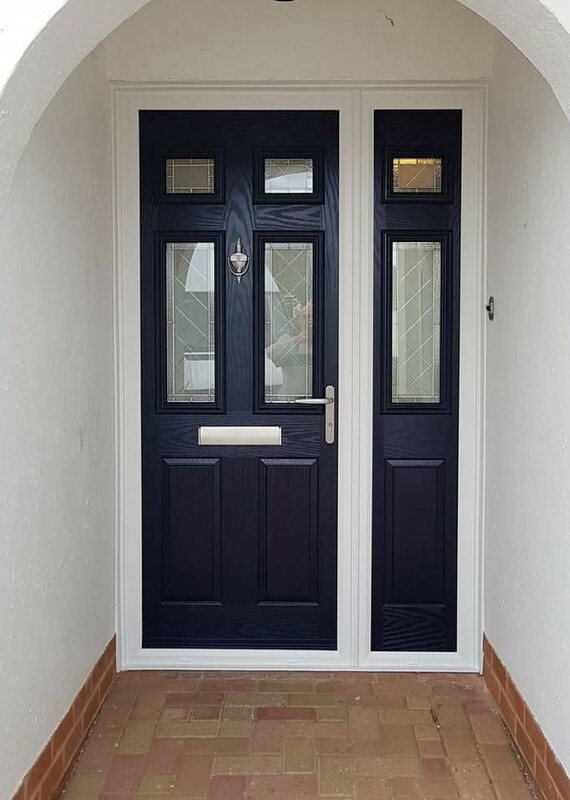 A striking door entrance and a striking door and sidelight combination were the winners of our latest monthly photo competition. Devonshire Windows installed the Matisse TR27 with matching composite side screen in our rich steel blue, with fabulous diamond cut patterned glass. Finishing of the door was perfectly selected brushed stainless steel hardware.